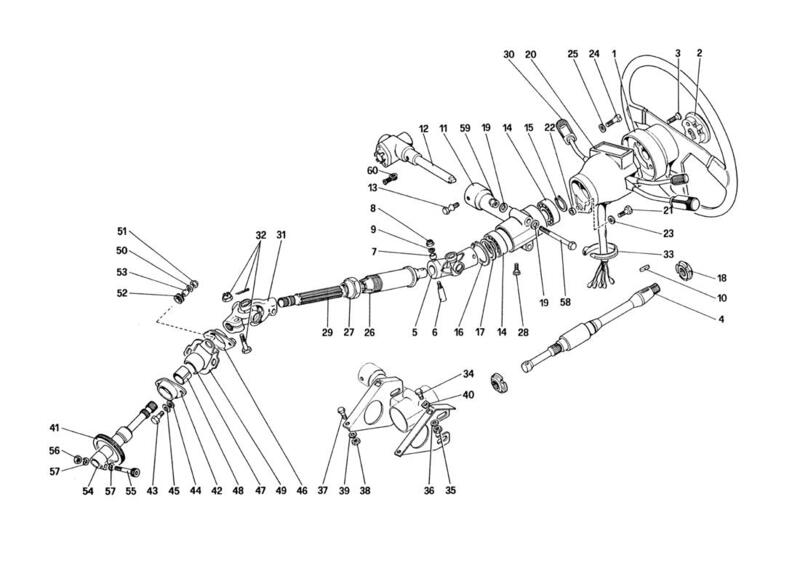 Ferrari 328 (1985) STEERING COLUMN - Ricambi America, Inc. Location: 17 Prev | Next Part: 107490 *Qty: 1 Shim, thickness 0,2 mm. Location: 17 Prev | Next Part: 101101 *Qty: 1 Ditto, thickness 0,5 mm. Location: 17 Prev | Next Part: 107488 *Qty: 1 Ditto, thickness 0,4 mm. Location: 17 Prev | Next Part: 107489 *Qty: 1 Ditto, thickness 0,3 mm.